Welcome to Darling Daughters. 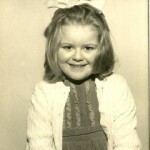 As a mum of 3, and still growing up with 2 sisters, I have been immersed in the world of daughters for more than 50 years! I am keen to share all I have learnt, but more than that, what have YOU found helps when it comes to parenting daughters. Share your ideas with the world here. 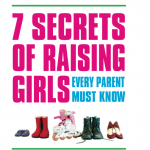 ‘7 Secrets of Raising Girls Every Parent Must Know‘. “What I love about Judy’s book is she makes you feel better from the very first page.” Steve Biddulph, best seller parenting author and psychologist. 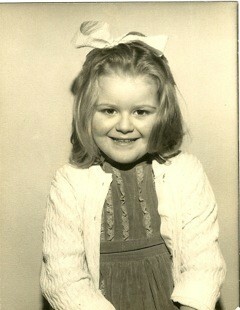 ‘After three boys I felt ill equipped to deal with a girl! I’m thrilled to have this resource to guide me through, it’s down to earth and ‘real’. It’s made me reassess my relationship with my daughter and what’s really important , I’ve stuck a post it note on my bathroom mirror… ‘Remember to have fun…’Janey Lee Grace, Radio presenter and author ‘Look Great Naturally Without Ditching the Lipstick’. Would you like a talk on raising girls for your school or work? Get in touch for a free chat on the phone to tell me what kind of topics would be good for the parents in your school or organisation. Raising a daughter? Good luck. I have 3 daughters, 2 sisters and 18 years experience of coaching parents. All of this is combined into my best 7 secrets to make parenting a daughter more straightforward, fun and less of a battle for you. 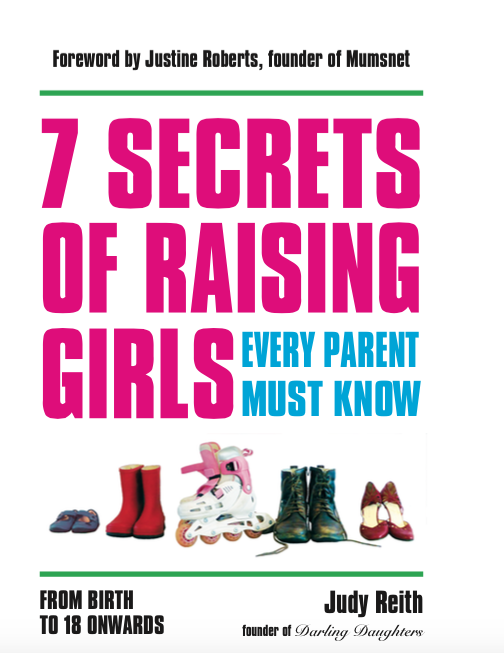 If you’re worried about body image, technology, self esteem and friendship issues my book is packed with parenting advice on raising girls, tips and stories from parents, and daughters too. This book will help you focus on resolving your parenting dilemmas that’s right for your family, and raise your confidence. An interactive workshop for parents of daughters . Would you like one in your town?